After months of hard work and phone tag by TriLUG sysadmins and volunteers, our new server, Moya, has been racked and installed in temporary housing! (Thanks to MetaMetrics for providing the space!) Our mission tonight is to convert our current server into a VM and get it running on the new server. We will plan and coordinate our efforts in advance on the #trilug-sys IRC channel, on irc.freenode.net. How to use tools such as the Linux kernel's perf tool to show what regions of code consume the most processor time. How to identify areas of an application that most need to be optimized. How modern processors work (just enough to better interpret performance data). A demonstration of these tools running on a Dragonboard 410c, an inexpensive aarch64 development board. 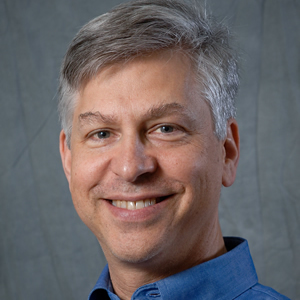 William Cohen has been a developer of performance tools at Red Hat for the past decade. He has worked on numerous performance tools in Red Hat Enterprise Linux and Fedora, including OProfile, PAPI, SystemTap, and Dyninst. This meeting will include an election to replace resigning PR Officer Matthew Frazier on the TriLUG Steering Committee. Currently, Jeremy Davis is nominated. If you wish to nominate yourself, you can do so on the TriLUG mailing list or at the meeting. Apex Systems, an On Assignment company (NYSE: ASGN), provides organizations with scalable IT staffing solutions to address critical gaps in their current workforce and augment workforce management strategies. We specialize in providing IT professionals for contract, contract-to-hire, direct placement, and managed solutions to clients in Fortune 500, mid-market, and emerging companies. Visit http://www.apexsystemsinc.com to learn more about Apex. To view our current job openings and join our Talent Network, visit http://itcareers.apexsystemsinc.com. Ring in the end of the year with TriLUG! Our annual Holiday Party is a great time of delicious food, cool demos, and socializing with other FOSS enthusiasts. This year, we're at the Red Hat Annex in downtown Raleigh. Demos of all kinds are welcome. It can be as simple as a cool piece of software you found on the Net, or as complicated as a 3-D printed electronic Halloween costume. Just let us know in the signup form. And food is provided! The party is being catered by Neomonde, and if you want to bring something else in addition, feel free! We need to let Red Hat know our guest list by 5 PM on Wednesday, December 9. Use this form to RSVP. After months of hard work and phone tag by TriLUG sysadmins and volunteers, our new server, Moya, has been racked and installed in temporary housing! (Thanks to MetaMetrics for providing the space!) Our mission tonight is to stand up additional VM's and develop procedures and documentation for managing them. This meeting is sponsored by TEKsystems, a leading provider of IT staffing, IT talent management and IT services. Synopsis Ever seen a machine reboot – desktop, to BIOS, to desktop again – in 1.5 seconds? Ever seen multiple terabytes of data backed up offsite over a residental internet connection in under an hour? Combine the ZFS filesystem and the Linux Kernel Virtual Machine, and you can do exactly that, and more. Sanoid is a policy-driven snapshot management tool for ZFS filesystems, intended to leverage KVM and ZFS to make your systems functionally immortal. We'll talk about what, how, and why. Bio Jim Salter (@jrssnet) is an author, public speaker, mercenary sysadmin, and father of three—not necessarily in that order. He got his first real taste of open source by running Apache on his very own dedicated FreeBSD 3.1 server back in 1999, and he's been a fierce advocate of FOSS ever since. He's the author of the Sanoid hyperconverged infrastructure project. And previously, he's contributed to Ars Technica on everything from NAS distribution tools to next-gen filesystems. TriLUG is teaming up with Splat Space to celebrate the legacy of Ada Lovelace, the first programmer, and inspire the next generation of technology innovators. Come join us for a family friendly night of trivia and tech demos. Synopsis Software companies, such as Microsoft, create documentation for millions of topics concerning its APIs, services, and software platforms. Creating this documentation comes at a considerable cost and effort. Now, developers are flipping this process by creating their own sources of documentation via blog posts and Stack Overflow questions and answers. For Android, not only can more examples be found on Stack Overflow than the official documentation guide, developers may be getting as much as 50% of their documentation from Stack Overflow. How might the crowd find other ways of flipping the processes of software development? 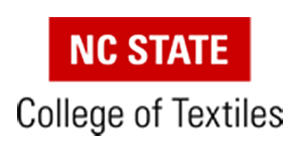 Bio Chris Parnin is an Assistant Professor at North Carolina State University. He received his Ph.D. in Computer Science from the Georgia Institute of Technology. His research spans the study of software engineering from empirical, HCI, and cognitive neuroscience perspectives. Two recent research topics include A) using fMRI and EMG to actually study the brain activity of developers and B) understanding how crowds of developers come together on sites such as Stack Overflow and Github to contribute software knowledge. He has worked in Human Interactions in Programming groups at Microsoft Research, performed field studies with ABB Research, and has over a decade of professional programming experience in the defense industry. Chris's research has been recognized by the SIGSOFT Distinguished Paper Award at ICSE 2009, Best Paper Nominee at CHI 2010, Best Paper Award at ICPC 2012, IBM HVC Most Influential Paper Award 2013, featured in Game Developer's Magazine, Hacker Monthly, and frequently discussed on Hacker News, Reddit, and Slashdot. Hack Night September 17: Configure The New Server! After months of hard work and phone tag by TriLUG sysadmins and volunteers, our new server, Moya, has been racked and installed in temporary housing! (Thanks to MetaMetrics for providing the space!) Our mission tonight is to set up basic virtualization infrastructure to run the next generation of TriLUG services, and to stand up a replica of our current server, Pilot, to assist in porting services over.